Plenty of rumors, speculations, and concerns about the changes we'll have in place starting next year. 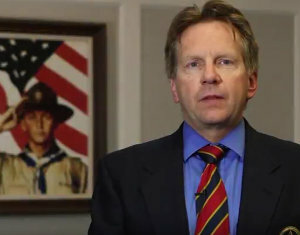 Rather than fretting and wondering, if you have a half hour to invest, Bryan Wendell reads questions from scouters across the country answered by Mike Surbaugh, the BSA Chief Scout. What input was there from volunteers? Is it co-ed or separate? What materials updates will there be? How will enough adult volunteers be found? What camping logistics be needed? Will the eagle scout requirements change? What's the future of Venturing? I hope you have time to listen. I found it worth the view. Starting next year (2018), girls will be part of the BSA scouting program, not just Venturing, Sea Scouts, Explorers, and STEM. What, you did not realize they were in all that already? 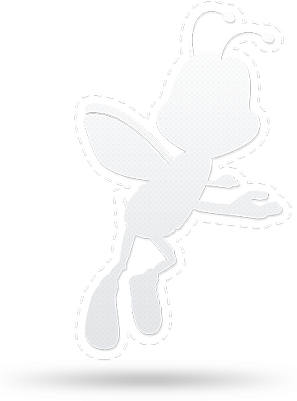 Oh my, it will be a busy year of updates - the organization name, logos, training, uniforms, patches, stickers, books, signs, documents, ... Whew! After unanimous approval by the BSA board of directors, girls will join Cub Scout Packs in 2018. The plan is to have separate dens for girls and for boys. Then, in 2019, girls will join Boy Scout Troops. See the BSA statement and Bryans blog post. Will this cause the Girl Scouts of the United States of America to go under? Maybe. In 1972, BSA had 6.5mil members, 5.1mil in 2012, and 2.3mil in 2016 - maybe this change will raise the numbers now that the entire organization welcomes anyone. I do not know about the separate dens for girls thing (and a separate program for girls in troops is planned). Whenever I have heard the need discussed, parents were looking for siblings to join scouting "just like the boys". Finding more den leaders just for the girls will be daunting, and I bet most packs will have girls join boy dens no matter what the national organization says. Best of luck to all you front line volunteers over the next few years. We live (scout) in interesting times! Please just remember to do your best for your scouts and keep adult stuff at adult gatherings to make their scouting experience the best you can. When do you think the first female Eagle Scout will be awarded? My vote is for November 22, 2019. Whoever posts the closest guess here gets a cookie! Check out the July BSA promotional program! If you are on the net, you could win some very cool prizes including trips to the national high adventure bases down to a $50 ScoutStuff gift card. The contest is only going on through July so click here to start earning points while everyone else is out at Philmont, summer camp, or the beach. 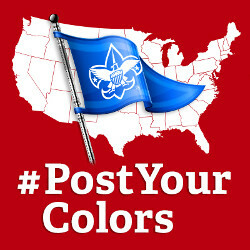 You just post a virtual flag to your state, enter your info, and you get a chance to win. Today, Jenny in Portland, OR is the lead person, but if you use this link to enter, we might be able to catch her! If you have been trying to help scouts cook balanced, healthy, wholesome meals on campouts, you might as well give up on breakfast this year. General Mills is giving away 10,000 boxes of Marshmallow Only Lucky Charms cereal! When scouts go shopping for food, they might notice the specially-marked boxes of Lucky Charms on retail stores across the U.S. this month that include a code on the inside back panel. Just enter that 14-digit code at MarshmallowOnly.com to see if you are one of the 10,000 lucky winners. In 2015, GM gave away 10 boxes, but this year it is 10,000 boxes! Did you know Lucky Charms has been around for 50 years? 50 years! I have been eating it my entire life, but I think an entire box of marshmallows would make me sick. Green clovers, yellow moon, orange star, and pink heart were the originals I enjoyed. Then, blue diamond, purple horseshoe, red balloon, and magic rainbow crept in over the years. Well, at least maybe the scouts will brush after breakfast and they'll have enough energy for the morning! With a mild winter and warmer spring, vegetation around here is earlier than usual. 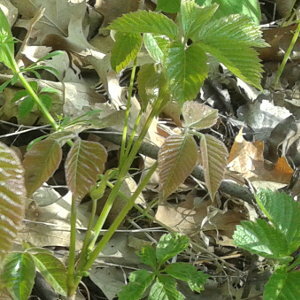 I found these new growth poison ivy plants just getting started on my hike this morning. In 2013, poison ivy was almost a month later. The garlic mustard and buckthorn are also already green and growing. Sumac and honey suckle are looking strong, too. When you're out hiking and camping, keep an eye out for these "bad" plants and steer clear. It looks like it could be a very bad year for invasive species, at least here. This could be a great opportunity for scouts to step up and help out local parks, trails, and public lands groups with beating back some of these invaders. Check around and see how your troop can pitch in and help out. 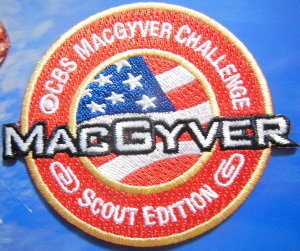 Last September, Boys Life ran a MacGyver Challenge sweepstakes. Today, I received this photo of the patch from a participant in the contest. Doing a bit of research on the net, it looks like 1,158 people entered so all of them should have gotten a patch, 10 should have received a swag bag of stuff, and 1 got a trip to the MacGyver set in Atlanta and a pizza party. A scout from Texas Troop 565 won the big prize - Read More (thanks for the heads up, thrifty). Many online contests like this are easy to enter and often have fewer participants than you would think. I won a nice pair of Keen boots online. If only 1,158 of these were given out, I wonder if any scouting memorabilia collectors would be interested in them? Scouts looking for another patch to collect? Read a book and send a short report to Boys Life to enter their reading contest. You will at least get a Pedro patch, and maybe a lot more. Following up on my post from yesterday about Boy Scout projects, here is a fun one for Cub Scouts. There are around 20,000 species of bees worldwide and they are very important for the pollination of plants. Since WWII, bee populations have been declining due to pesticides, disease, parasites, and habitat lose. In 2015, around 40% of the bee colonies in the U.S.A. collapsed. Every year, some colonies collapse, but this was a lot. Plant Wildflowers - Cheerios is giving away wildflower seeds for you to scatter and grow. They've already given away 80 million seeds and are nearing their 100 million seed goal. So, get yours now! Or, go to your local nursery and buy some that you know will grow locally. Contact your city, county, or local Dept. of Natural Resources to identify a good spot for scouts to scatter the seeds. Plan to visit the location later in the summer to see what has grown, and maybe collect seeds in late summer to be sewn in other locations this fall. Looking for some service conservation projects for 2017? There are TONS of opportunities for volunteers to help out, from computer data entry to banding woodcock chicks - whatever your ability or interest. Eagle Project? 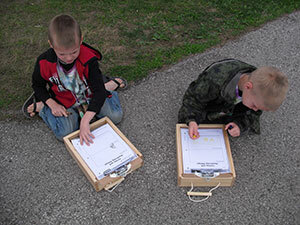 Field desks for kids to use in outdoor classrooms. Trail Monitor - remember hall monitors in grade school? Scientific and Natural Area volunteer - collect seeds, plan seedlings, remove invasives, and more. Eagle Project? Make Tree Cookies. See MN DNR Volunteer Ops for these and more ideas. A tiger den joined my Pen Pals program and included code for a tiger emoji in their name. I thought that was quite creative so I went looking for other emojis that might be useful, or at least fun. There is a very long list of emojis here and other places on the net. These emojis may or may not display correctly depending on the capabilities of the device you are using to view this page. Any other Scouting-related emojis out there? Try to include them in your comment. I've had the good fortune to learn from a lot of good men while volunteering in the Boy Scouts of America. They range from professional artists to scientists, some with a high school diploma and others with too many letters after their name to list. They all have interesting stories and valuable experience to share. One Scouter in particular that I know has had a very eventful career, and this year was the keynote speaker at the Northern Star Council Million Dollar Day event. Dr. Andrew Baker provided terrific leadership and support to our troop while his sons progressed through the program. Dr. Baker is a great example of how Scouting can help a boy become a better man. 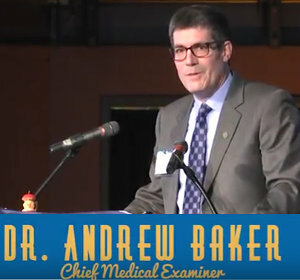 If you have just 13 minutes to spare, Dr. Baker shares his international experiences, Scouting impact, and how not to go winter camping. I don't generally agree with the common statement regarding Scouting to "let them fail". I think what is meant when "fail" is used is actually "learn". Burning pancakes is not failing - it is learning the point at which they're ready to flip. Taking the wrong path at an intersection is not failing - it is learning to orient a map with the world. Losing an SPL election is not failing - it's learning how politics and elections work. All of these examples (and pretty much any others you can come up with) can be tried as often as needed until the skills or requirements are met. Actual Failing would be dropping out of the program without gaining anything significant from it. That is something adult volunteers should definitely NOT let happen, but it is often our fault because we don't provide appropriate challenge to individual scouts. 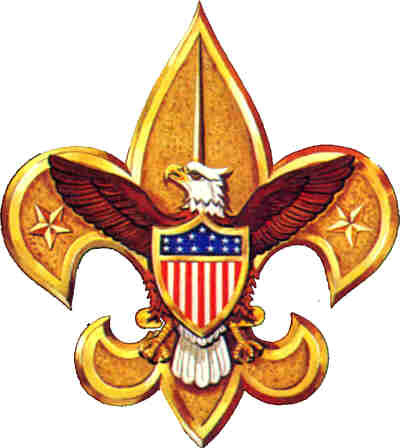 The Scouting program succeeds by challenging scouts to push their abilities. What is challenging for one scout may be boringly easy or frustratingly difficult for another. One scout may be ready to navigate 30 miles, cross-country, in a blizzard, at night. Another may be challenged to point north at high noon. Our challenge is to challenge each scout in ways that help avoid failure. This simple graph keeps me focused on this concept. The slope is the difficulty of what the scout is being expected to do - the steeper the slope, the more difficult that activity. Every scout (every person) has a built-in graph like this, set specifically to their interests, abilities, and aptitudes. If too little is asked, it's boring and I'll find something else to do. If it's easy, I won't learn much new but I can help others. If it's challenging, I gain from it and can help others gain a little, too. If it's strenuous, all my effort will be to learn and I won't be helping others. If it's so difficult for me that it is frustrating, I'll not learn it and most likely eventually find something else to do that is fun. As scouts gain skills and experience, their graph will get steeper. Those activities that were challenging may now be boring. No activity will fall into the challenging area for every scout, but it may be easy, challenging, or strenuous for nearly all of them. That allows most of them to gain something from the activity. We get into trouble when activities are always geared at the same center of mass for the troop - those advanced scouts get bored of things always being easy and inexperienced scouts get tired of never doing very well. Patrols of similar-aged scouts allow a smaller group with more closely matched skills to do activities together. This removes a lot of the frustrating, easy, and boring areas. Some scouts will be ahead or behind their patrolmates, but not as much as an entire troop. High adventure treks help with advanced scouts falling in the easy area too often. Finding other ways to challenge them is important. Constantly asking them to "help the younger scouts" gets old fast. The ultimate way to ensure each scout is properly challenged would be to track his current skills, interests, and needs, and then have a way to map that to planned activities so every scout gets exactly what he needs. I don't think that's practical, but holler if you've figured out how to do it. Instead, we can plan opportunities that will help nearly everyone. Talk with each scout. Be aware of his current rank and what he should be generally working towards next. Be aware of what he tends to find easy or difficult, whether it's public communication or knots. Hold Skill Sessions for a set time at troop meetings or campouts where any scout can get help with up to First Class skills. Either advanced scouts or adults (if no scouts know the skills) provide the help. Create incentives for scouts to help others. Some advancement requirements include this, but there are other ways to make helping "the younger scouts" more fun. Just keeping a sheet of signatures from every scout that comes to him for help might be enough for some scouts, or a prize for every 10 or 20 scouts helped, or a spoof merit badge, or a public Thank You at courts of honor. Be a Lurker. On outings, don't just sit and drink coffee. Watch the scouts and keep an eye out for ones that appear uninterested or frustrated, especially when skills are being put to use. Any other ideas? Share as a comment below. As the graphs tend to show, Discouragement is a much easier target to hit than Motivation. It's important to make efforts to keep Scouting time focused close to that challenging zone for every scout.